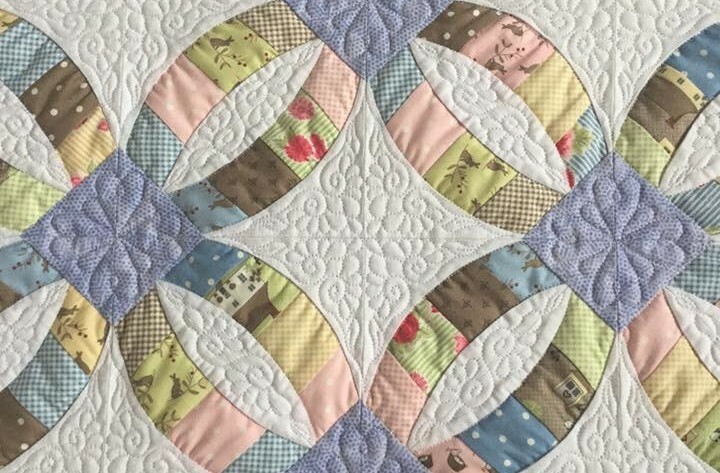 I love how this quilt turned out. 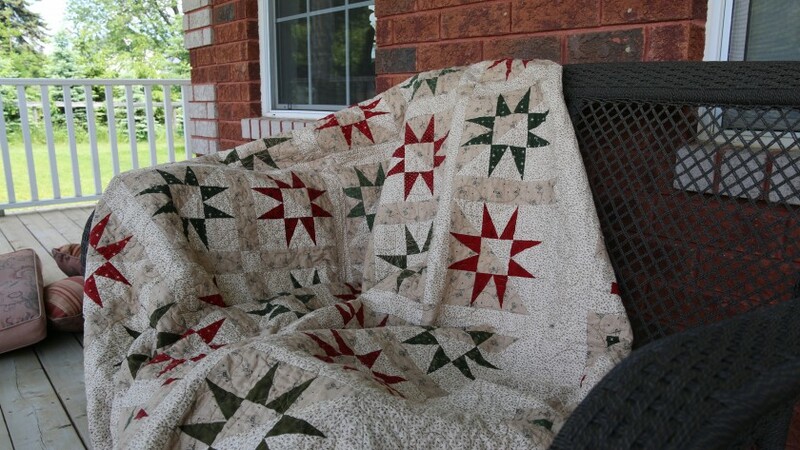 So beautiful and so different than I normally quilt. 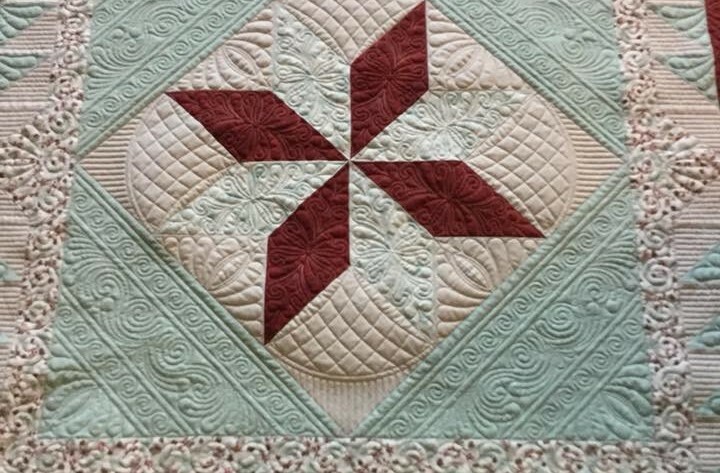 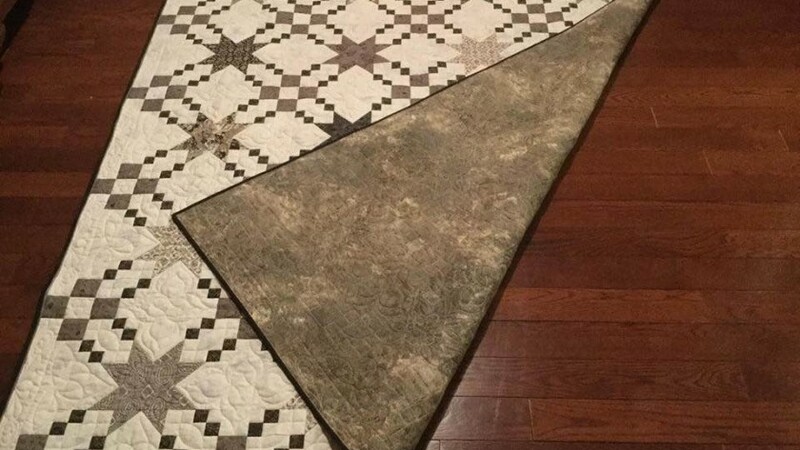 It is a wonderful pattern by Joyce Lundrigan of Methodist Hill Quilt Studio and I am proud to say I pieced with all fabric I had on hand…including the batting! 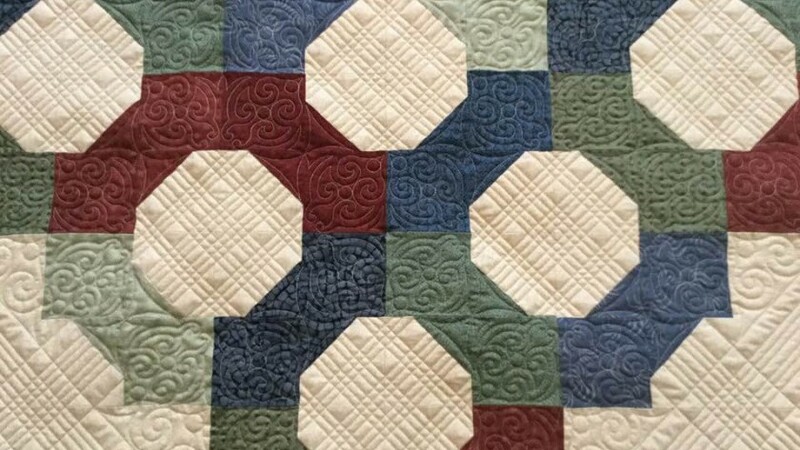 I gained lots of practice piecing and placing arc circular patterns. 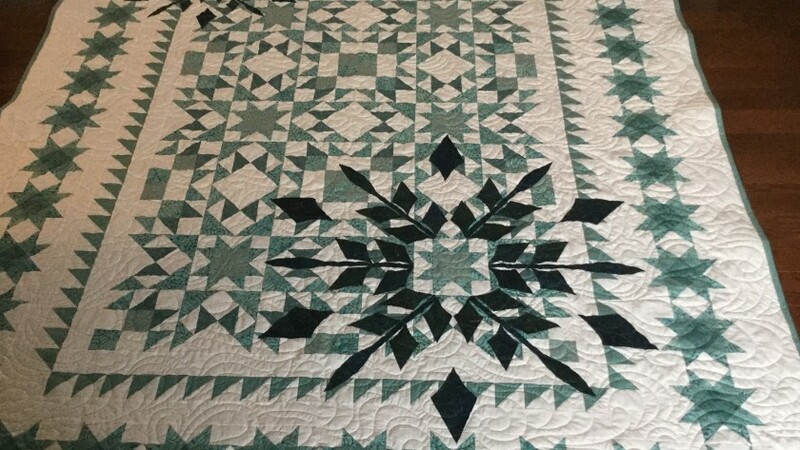 This gorgeous pattern by “Border Creek Station” was a pure gem! 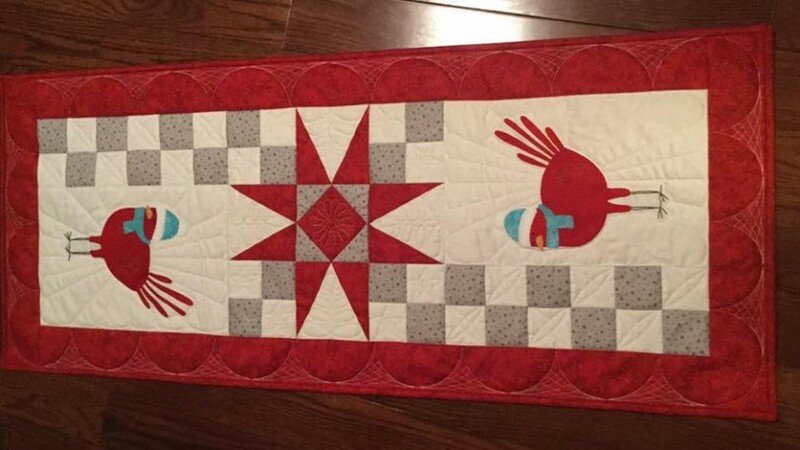 Just the right amount of piecing and applique to make it fun! 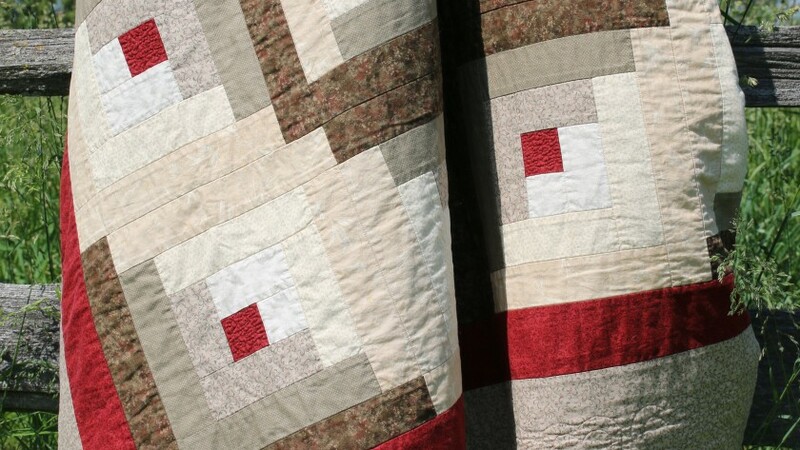 Quilted out to 68″ x 86″, perfect size for a twin size bed. 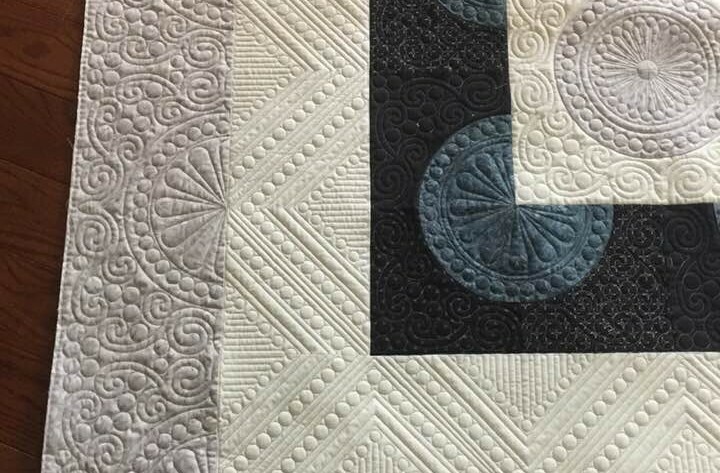 I had a hard time deciding on custom quilting, so decided on a fun Edge to Edge design instead in light silver Glide thread.